Sometimes a delicious cake is just missing the finishing touch. For such cases, we have four particularly extravagant decoration ideas that you and your guests are guaranteed to love. 1. 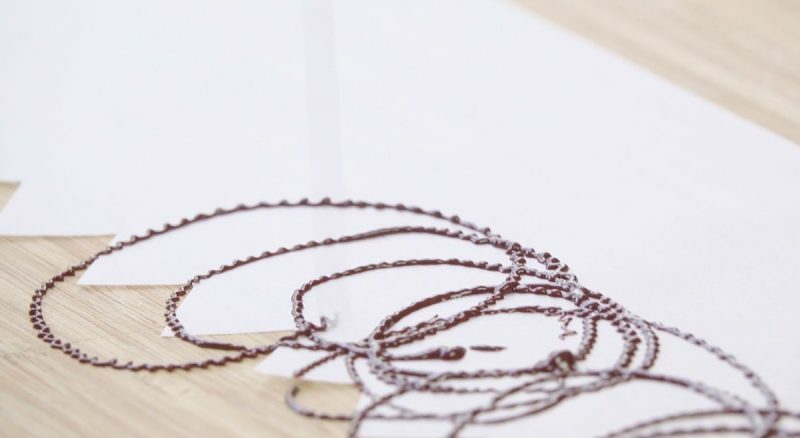 For the chocolate lace, take a sheet of parchment paper and evenly cut one side like a crown, with the prongs facing out. 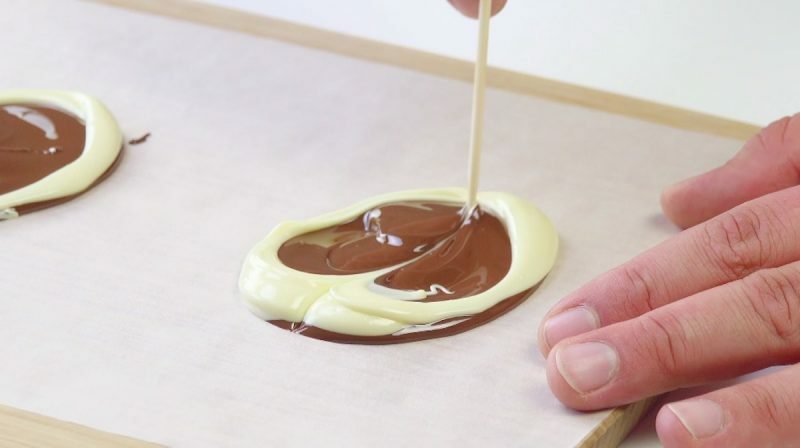 Melt the chocolate in a water bath and pour into a piping bag. Pipe the chocolate in thin loops on the parchment paper, as seen in the video. Let the chocolate cool, apply to the outside of the cake, and remove the paper. Garnish with raspberries for an added touch. 2. For the chocolate skirt, pour large drops of melted chocolate on parchment paper in the shape of a wing, and use a spoon to smooth out the chocolate. Before the chocolate drys, quickly place the paper on a cardboard roll to create the special curve and wait for the chocolate to set. Remove the chocolate "wings" from the paper and use them to decorate your unique cake. Top with sugar pearls for a special look. 3. For the marbled chocolate, first place a large blob of melted brown chocolate on the parchment paper and then surround the dark part with melted white chocolate. 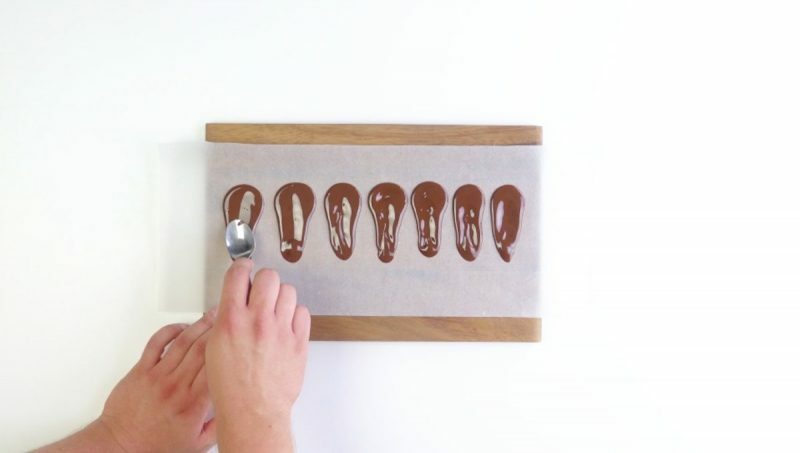 Use a wooden stick to draw lines through the chocolate mass and let sit. Once the chocolate has hardened, place them on your cake. 4. For the colorful chocolate design, melt the white chocolate, divide it into separate bowls, and dye each bowl whatever color you want using food coloring. Use a silicone pastry brush to "paint" each color on a sheet of parchment paper and wait for it to harden. Take the remaining liquid colored chocolate and splatter it on the cake and then place the hardened colored chocolate slabs on the side for for an artistic look. 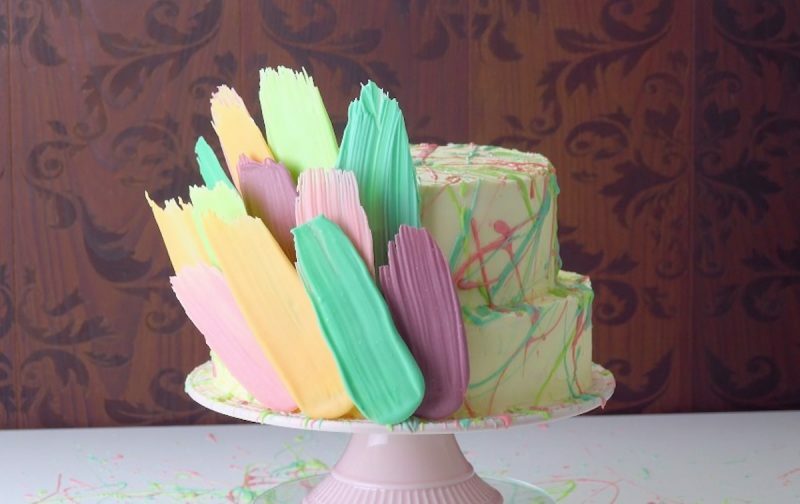 With these fun and fast ideas, it's so easy to dress up every cake. Have fun decorating!